Hello there, today is the day! The new products from Clearly Besotted will be available to purchase this evening at 10pm. 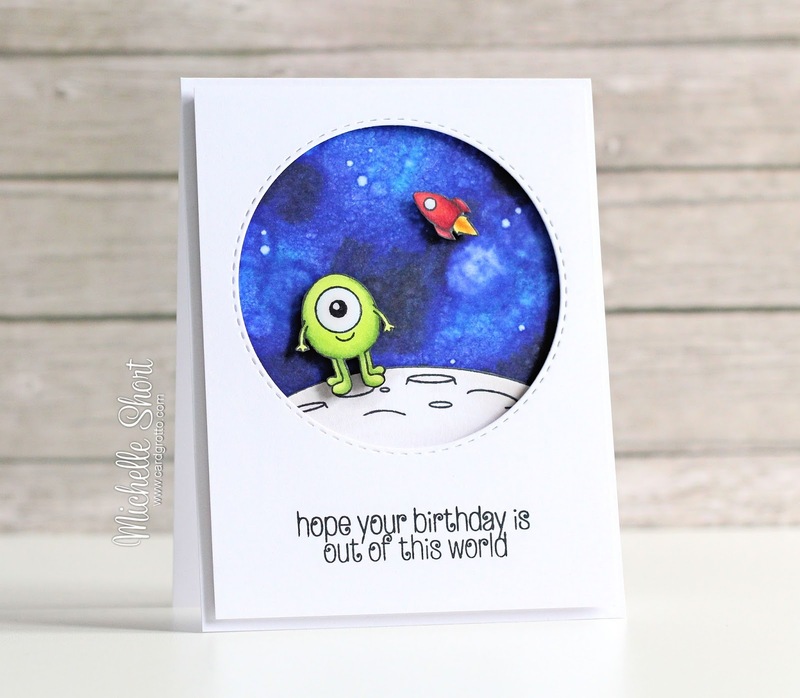 I have my last two teasers to share with you today, the first using the new Out Of This World Stamp Set. I started off by stamping the alien/monster, rocket and moon using black ink. These were then coloured using Copic Markers. I added liberal amount of Glossy Accents to the alien's eye. These were then fussy cut out (there is a matching die set, but for my design I did not want the white border). I then worked on the background space piece. I coloured a piece of white cardstock with Copic Markers, splashing on some Colourless Blender using a brush. 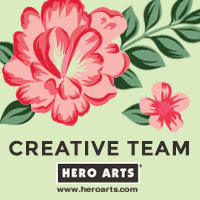 I followed THIS amazing tutorial by Elaine Hughes for it, and I am really happy with how it came out. I took a panel of white cardstock and cut a circle from it, using the SSS Stitched Circle dies. The sentiment, from the same set, was stamped below this with black ink. I added the space background piece on to a white A2 card base and then popped this panel of top with foam sheet. The alien, rocket, and moon were then added with foam tape. COPIC MARKERS: Alien/Monster: YG17, YG23, YG01, B000. Moon: E40, T1, T0, W0. Rocket: R89, R46, R24, R14, YR19, YR16, YR13. Space/Galaxy background: FBG2, FB2, B69, B79, 100, Colourless Blender Marker, Colourless Blender Refill. My second card today, is a really quick and simple shaker card, using the new Shaker Shapes Square Hello Die. I started off by taking a squares 4x4" card base and ran this through my Cuttlebug, cutting the die from the front portion of the card. I then took a panel of white cardstock, just slightly smaller than the front of the card and cut this also. I added acetate to both side of the shaker window (the front of the card and the back of the panel) and then added foam tape to the back of the panel piece. I added some shaker bits from the Lavender Sequin Shaker Mix and popped the panel on top. This makes it so you can see through the front of the card into the inside. It is a little bit difficult to see in the photos but if you watch my release video later, it will be a bit easier! Here are the links to what I have used on the card. Please click on the picture or wording to be taken to where I purchased it. Affiliate links are not used in this supplies list. very nice cards, i love de shaker mix card. Two fantastic cards! Your little alien-in-space is sheer delight; love his one-eye and smiley expression! Your shaker hello: classy! Awesome night sky on the first card! Stunning samples. I love your out of the world sky - amazing. The colour combination on your shaker is totally deliciously yummy. 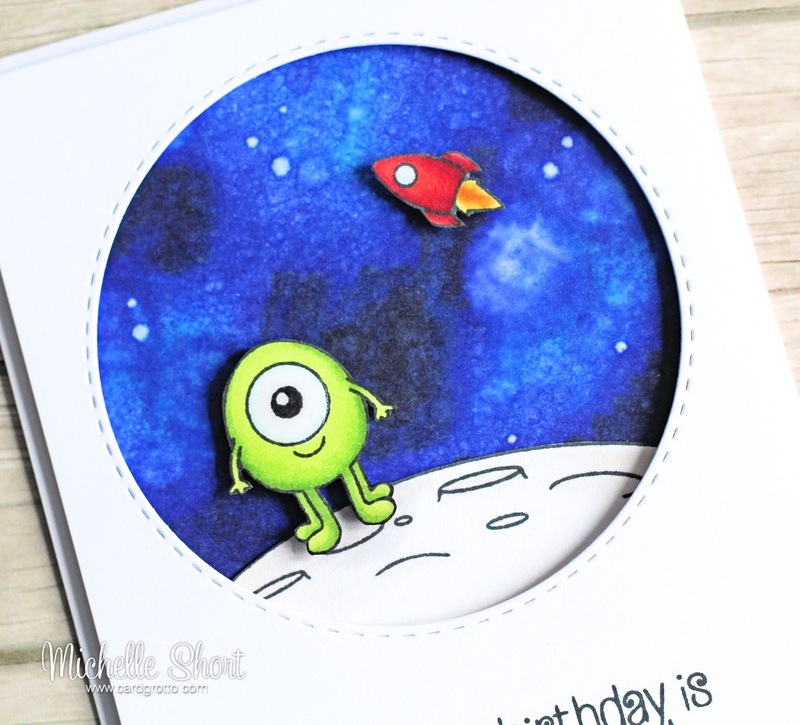 i adore that alien card - and love your space sky background! both cards are so beautiful, but I love the shaker card! Two amazing cards...love that sweet alien! Oh wow!! I was taken aback by the background on your first card. GORGEOUS!!! 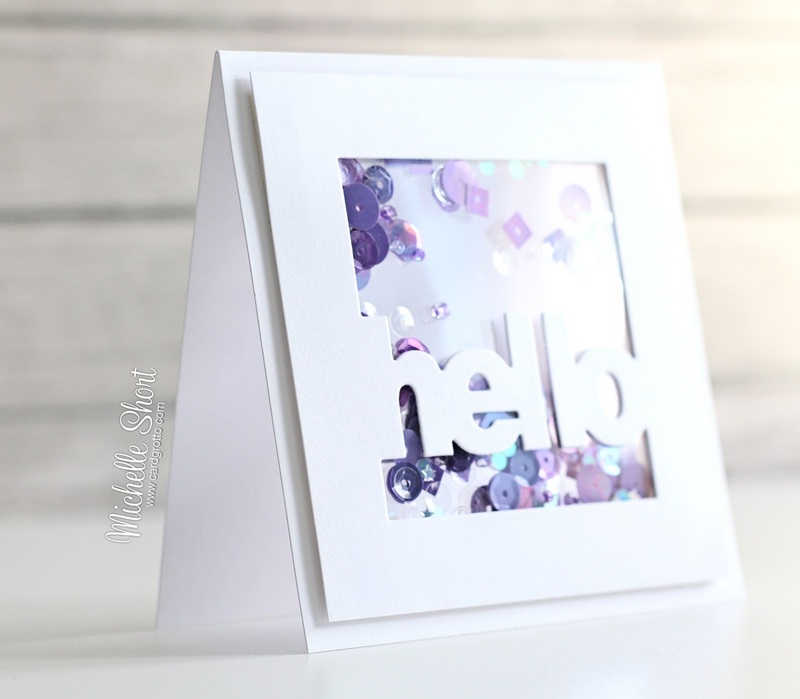 The Hello Die is perfect for making shaker cards. They are so much fun. 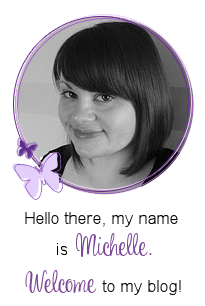 Love the purple sequins.